The defining feature of Samsung’s Galaxy Note phone is not the large screen, it’s the stylus. Why? Because almost no other phone has included one over the past decade. 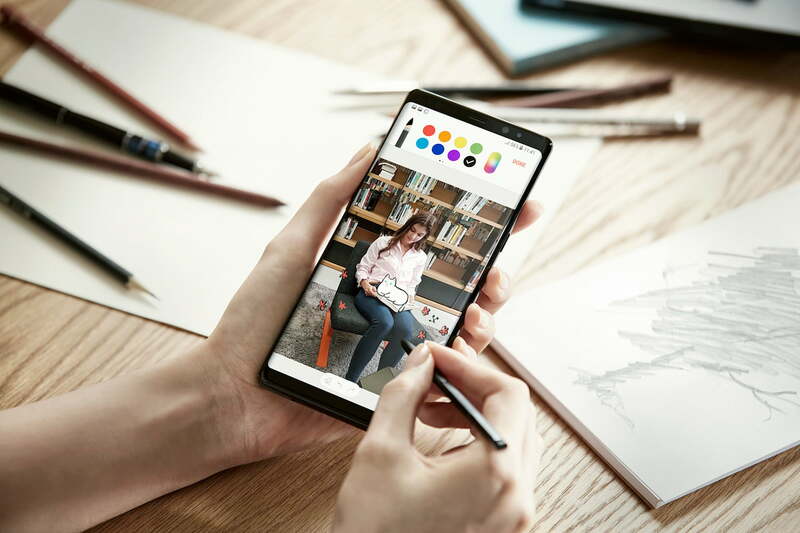 It’s a Note tradition, but as we approach the launch of the ninth version of the phone, Samsung faces a severe challenge. It has to convince not just us, but owners of Note phones everywhere, that it’s actually worth using. The stylus remains deeply unusual in the world of phones because it’s, if you’ll forgive the pun, pointless. At this stage the S Pen feels like a tacked on gadget there for no other reason than the phone’s name is the Note. It’s time Samsung changed that. If you’re reading this and anger is boiling inside — before you clutch the S Pen and scribble a heated reply — we’ll concede the stylus makes sense for artists. Drawing with your finger is best left to pre-schoolers, so when inspiration strikes, reaching for the stylus will elevate the result beyond the work of a keen five year-old. Also, if you’re using the S Pen with the Galaxy Tab S4, that’s also fine. It’s a tablet, the natural home of a stylus. Modern phones, especially those with big screens, are designed specifically to be used with our fingers. There was a time when this wasn’t the case. Before capacitive touchscreen technology became common, we had to make do with resistive touchscreen technology. If you’ve never used one before, they’re slightly springy and require a firm prod — with a fingernail for best effect — to register an action. A stylus was a very big help. When the capacitive screen came along, the stylus became redundant. The S Pen feels like a tacked on gadget there for no other reason than the phone’s name is the Note. Apple’s Steve Jobs was a famous hater. He claimed if you saw a stylus, then the manufacturer had failed, hence the use of a capacitive screen on the first iPhone. Samsung and the Galaxy Note 9, in Steve Jobs’ eyes, even before it has launched, has failed. More worryingly, in a completely unscientific Twitter poll we ran, a high percentage of Galaxy Note owners can’t find a use for the S Pen stylus either. Of the 200 people that answered, 61 percent said they don’t use the S Pen on the phone. If the majority is nonplussed by the S Pen, Samsung’s definitely failing, although not in the way Steve Jobs meant. If you’re going to include a special, almost unique feature, it’s criminal not to make it useful to everyone. When I used and really enjoyed the Galaxy Note 8 after its release, the stylus came out of the phone perhaps twice, and one of those was only to show it to someone else. The rest of the time, it was faster and more convenient to use my finger, as intended by the operating system. The S Pen stayed inside its sheath while I had the device. The previously mentioned pre-schoolers have greater artistic ability than I do, therefore I never felt the need to put S Pen-to-screen and sketch my surroundings. Otherwise, the shortcut menus weren’t useful because my finger does the same thing, only faster, and while taking notes in a meeting, I quickly swapped to a pen and paper as I didn’t need to look at the screen while jotting away. Besides, scribbling on glass still feels weird due to the lack of resistance. Even in our reviews of Note phones, we’ve either questioned why it exists at all, unsurprisingly praised it for how good it is for an artist, or summed it all up with, “styluses aren’t for everyone.” This is a feature that has been around for nearly nine generations, yet we haven’t said anything more positive, or once singled it out as a big reason to buy the Note. Even after adding new graphical features, buttons, and additional levels of pressure sensitivity, the S Pen remains an anachronism. A leftover from when screen tech was worse. Why then, is it still there? It simply has to be Samsung being obstinate, and needs something in its ads to remind us the phone we’re looking at isn’t an S9 Plus. This is a problem, because the Galaxy Note series has become increasingly less relevant over the past few years, and it has been far harder to differentiate between it and the S Plus models. Pushing the S Pen as the Note’s unique selling point is eye-catching, despite most eventual owners not even using it. Even Samsung may know it, and there are rumors the Galaxy Note 9 may be the last of its kind. If the Galaxy Note goes, then the stylus will go with it. The S Pen’s nemesis is the finger, and we’re giving it the middle one. Harsh criticism? No. We complain about apps that duplicate other functions, and silly camera features like augmented reality filters all the time. They don’t add anything to the experience, and simply replicate another app or service that inevitably does it better. The S Pen’s nemesis is the finger, and we’re giving it the middle one. Yes it makes us mad, but when features we thought were six-feet under are thoughtfully given a new lease of life, they can quickly become desirable. See the BlackBerry Key2 for proof. We don’t really want the Note’s stylus to just fade away. What it needs is a reason to exist. Not just for artists, but for every prospective Note owner. Note 9 saves the day? 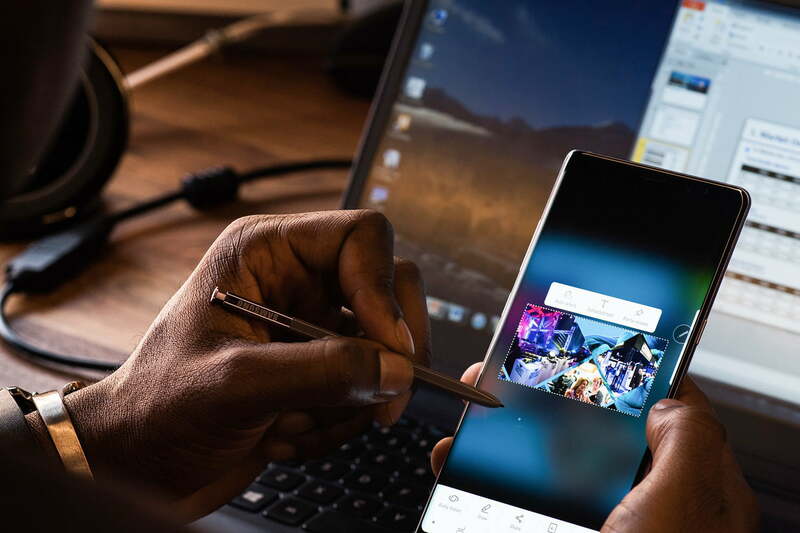 Samsung has already said it wants to improve key Note features with the Note 9, and there are few as iconic as the S Pen. Rumors talk about a new Bluetooth connection, additional features including a button to act as a remote camera shutter release, and most interestingly operating as a custom game controller. Nintendo made the stylus work very well as a game controller on the 3DS, and provided Samsung doesn’t make it too awkward for developers it integrate it into their games, we could see this being a desirable additional feature. That’s artists and gamers covered, selfie fans, and compulsive note takers too; but there needs to be more. We need a reason to take it out, on a daily basis, rather than just using a finger. Otherwise, just buy a cheaper but excellent Galaxy S9 Plus, or wait to see just how space-age Samsung’s foldable phone is next year. If Samsung can’t give you a reason to want a stylus, don’t pay for the pleasure of having one.